These days, people prefer using Wi-Fi for availing internet service. They prefer making a device as Wi-Fi Hotspot and drawing data network from it. They can share the connection in any smart phones using the Wi-Fi connectivity. Preferably, people like to make their PC as their Wi-Fi Hotspot as the internet speed is quite high in that., so today we will tell you the method to Make Wi-Fi Hot Spot from Windows 8 PC. So once they Make Wi-Fi Hot Spot from Windows 8 PC, they can connect any number of devices using Wi-Fi to share the internet connection. Windows 7 had the features of making the PC as Wi-Fi hotspot in an easier way. Making the PC a hotspot was very smooth in Windows 7. But Windows 8 had removed one of the essential programs from the system. It was the ‘ad-hoc networks’. That program made the creation of Wi-Fi hotspot easier. But unfortunately for some valid reasons, Microsoft had removed that program. People find it difficult to Make Wi-Fi Hot Spot from Windows 8 PC. They think that it is impossible to Make Wi-Fi Hot Spot from Windows 8 PC, since that program is not there. But that is not true. Nothing is impossible in this present generation. Anything and everything is possible in this 21st century. 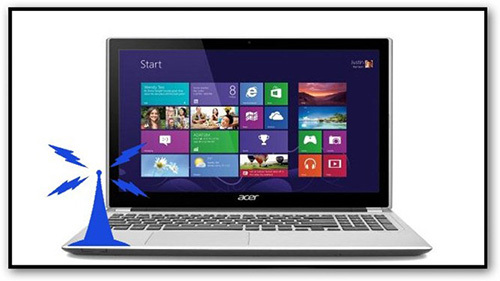 Here are the ways of how to Make Wi-Fi Hot Spot from Windows 8 PC. First the command prompt has to be found out. People can also check the Virtual Router Plus. It is a free code to make the PC into a Wi-Fi hotspot. This program has to be downloaded and installed. There is no installation actually, just the program will launch. The procedures for setting up are very easy and convenient. It does not have much complex codes like other programs. Firstly the name of the network has to be entered. It is the name of the Wi-Fi hotspot. Other devices searching for Wi-Fi hotspot will see this name. Then there has to be a password for the Wi-Fi hotspot. This will keep the Wi-Fi hotspot secure. If there is no password, anyone can share the internet connection. Finally the connections that are shared have to be chosen. After all these, the ‘Start Virtual Router Plus’ has to be clicked. It is as simple as that. The Wi-Fi hotspot will be created on Windows 8 environment. Now any other device can share the internet connection of the Windows 8 PC. This is the best way to Make Wi-Fi Hot Spot from Windows 8 PC. 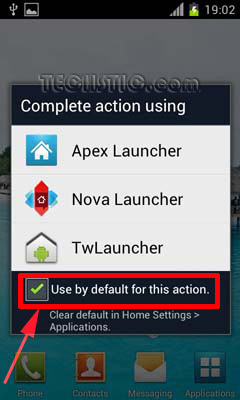 How do you change a default application in Android Ice Cream Sandwich?